Latimer Point is East of Masons Island in Mystic and on the western shore of the Stonington River. For information about Stonington homes for sale on Latimer Point call or text Stonington Real Estate Agent Bridget Morrissey. “Latimer Point, originally known as Noyes Neck in the 1920’s, is the southern most end of the Quiambaug Valley – though that ridge splinters in many ways, and ends in a variety of small hills and inlets. The Wilcox Fertilizer Factory was located on Latimer Point Stonington passed an ordinance prohibiting the plant from operating when the wind was blowing onshore because the smell was so bad that it had its own name, “eau de menhaden”. Today, according to Spokeo.com there are about 20 homes on Latimer Point Road, mostly three or four bedrooms ranging in value from $450,000 to over $2 million for waterfront with an average of about $734,000. East Shore Road and N Shore Way are populated with many 2 bedroom homes on less than a .25 acre but the values rise for those located on the waterfront. 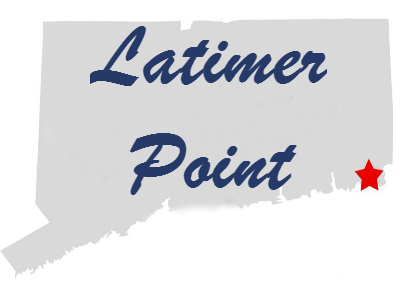 Click here for The Official Latimer Point Facebook Page!